In The Know — Let's set the table together. When buying seafood, it’s important to know what you are looking for. Follow these guidelines and you will be set for success each and every time. 1. Shop smart: Get to know your local fishmongers and seafood departments. From their knowledge, quality, smell, cleanliness and overall sanitation, the care they take in their product speaks volumes! a. Smell: Clean, fresh and “like the sea.” It should in no way be fishy smelling! i. Fish should have clear, bright and bulging eyes. If they are cloudy or sunken, that fish isn’t for you. Scales should be tight, skin should look bright and fresh, and gills bright pink. ii. 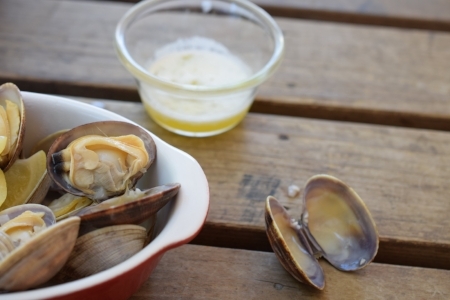 Shellfish like clams, oysters and mussels should be firmly closed with no cracks or major blemishes. 3. Fresh vs. Frozen Shellfish (like shrimp): If they don’t have a fresh catch, buy frozen! Often grocery stores buy items frozen and thawed at the store. When buying frozen, seafood was caught and immediately frozen at sea. 4. Farm vs. Wild: Always buy wild! If the wild variety doesn’t look as good as the farm, tweak your menu to accommodate what looks good. In other words, if you had a choice between a brown sad looking banana and a crisp red apple, would you get the banana? You may end up paying more for a better product, but the taste and overall quality will most definitely make up for it! With all the holiday gatherings and celebrations, it’s fair to assume you may be hitting the wine aisle at your local market. 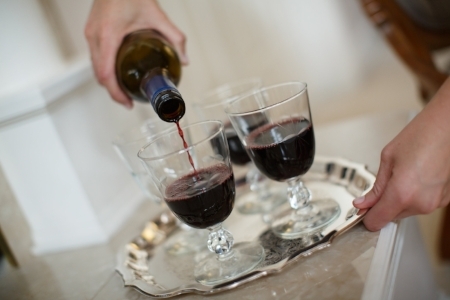 Here are a few of my top tips for buying the perfect wine for guest or party at hand. Menu: If you are hosting, the wine should “speak to” the menu. For example, a heavy Cab for steak and a clean white crisp wine for salmon. Know where to shop: Do a little research and shop where there is a great selection, good price point, knowledgeable staff and if possible, someone you can build a relationship with. There is nothing better than going back to the same wine guy or gal and having them recommend wines based on your previous selections. Learn what you like and don’t like: It’s helpful to know what your preferences are so they can steer you in the right direction. For example, I like wines that are fruit forward, full bodied reds, notes of cherry, etc. Ask the shopkeeper! Don’t be afraid to ask the shopkeepers what’s hot, new, exciting, and getting rave reviews. Heck, they are in the business of wine and chances are they hear a lot of feedback from both winemakers and other customers, like you. And, if nothing else, they may know of a new wine that’s getting a lot of buzz and may be worth checking out! Know how much do you want to spend: Start there and be confident with your choice in that range! There are excellent wines at every price point no matter your budget! Pay attention to but don’t fret the awards and ratings: Your taste is different than mine and mine is different than yours. How often have you shared a meal with someone and you both left with different takes on the meal? Yes, these awards are great to note, but they should serve as a guide and benchmark not the tell-all. At the end of the day, there are thousands and thousands of wines to choose from and the task of choosing one can be daunting. To this point, I encourage you to do your research, ask for help and most importantly, enjoy the process. Looking for some last-minute Thanksgiving classics that are easy to execute while adding a sophisticated and delectable touch to your Thanksgiving feast? From my ultimate Parker House Rolls, Pumpkin Pie with Gingersnap Crust (pictured) and Maple Whipping Cream to Foolproof Turkey, Mashed Sweet Potatoes with Toasted Marshmallows, Velvety Smooth Mashed Potatoes, Cranberry Sauce and Cranberry Relish, and Green Beans with Shallots, Toasted Almonds and Cranberries, I’ve got you covered at TheTableTogether.com. While there, I invite you to stay a bit and see what else may perk your attention. An ultimate turkey guide, by chance? I’ve got that! Tips on executing your best thanksgiving yet? I’ve got that too! Whatever you fancy, I weekly dish up tips and resources for cooking and being at your best. From my table to yours, happy Thanksgiving! Thanksgiving is just around the corner which makes me wonder, are you ready to roll up those sleeves and tackle your grand centerpiece? Your thanksgiving bird, that is! From cooking times, how to select what size bird for number of guests, to the different types of birds and cooking methods, you can consider this your ultimate turkey handbook. 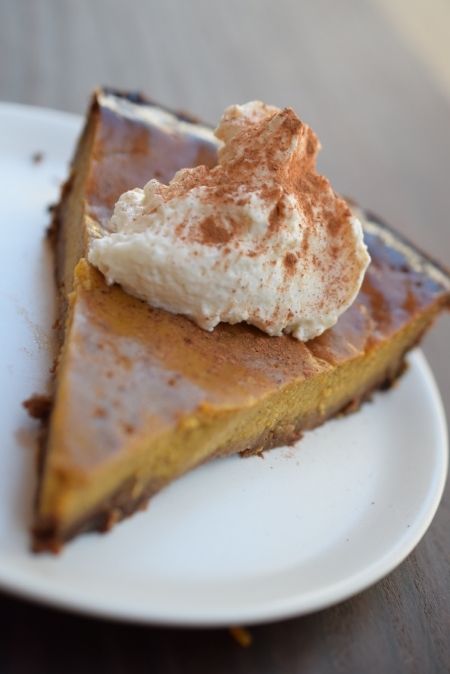 So, let’s step into Thanksgiving mania with a plan and make this our best, and most delicious, Thanksgiving yet! Plan on 1 pound of turkey per person (adult). Especially if the sides are in abundance! How Do You Know When Your Turkey is Done? Free-range: This is a bird that is not raised in a cage and is free to graze on any grasses or grains it can find in its pen, which is generally considered a more humane and healthy poultry farming process. Organic: The U.S.D.A. requires that all turkeys sold as organic must be raised free-range, without the use of antibiotics, and fed an organic and vegetarian diet that has not been treated with pesticides. Natural: Natural turkeys are generally less expensive than organic, and are often of a comparable quality. But there is no government guarantee to back up the word “natural” on a label. You must read on to find out if the bird is antibiotic-free, free-range and/or raised on a vegetarian diet. Conventional: This is the standard supermarket turkey. The variety is the Broad Breasted White, which was bred to have a plumper, broader breast. A conventional turkey should be brined; it will noticeably improve the texture. And use an open hand when it comes to seasonings, since the turkey won’t offer much flavor of its own. Heritage: Heritage turkeys are old-fashioned varieties of birds that were common in America until the 1920s. They have a richer, more distinct flavor, more like a game bird, and have a greater proportion of dark meat. Breeds include Narragansett, Jersey Buff, Standard Bronze, Bourbon Red and White Holland. Wild Turkey: It is illegal in the United States to sell a truly wild turkey that’s been shot by a hunter, thus most “wild” turkeys on the market are pasture-raised — often free-range heritage birds. To procure a truly wild turkey you will need to either shoot one yourself or befriend a hunter. Self-basting: These turkeys have been injected with a solution generally consisting of butter or oil and salt, and sometimes herbs, spices and preservatives. Self-basted turkeys are sometimes not labeled as such, so make sure to check the ingredients list. If you see anything other than “turkey,” chances are it is a self-basting bird. Do not brine it. Go ahead, print this out, post it on your fridge, Nextdoor Neighbor, or Facebook, forward a copy to your mum, aunt, uncle, brother, book club group, that person sitting next to you on the plane that’s peering over your shoulder…I don’t mind! For other terrific tips and hundreds of recipes, including dozens perfect for sharing around your Thanksgiving table like my Parker House Rolls, Pumpkin Pie with Gingersnap Crust and Maple Whipping Cream to Foolproof Turkey, Mashed Sweet Potatoes with Toasted Marshmallows, Velvety Smooth Mashed Potatoes, Cranberry Sauce and Cranberry Relish, and Green Beans with Shallots, Toasted Almonds and Cranberries, visit my website (thetabletogether.com). While there, consider “subscribing” and I will send a new tip or blog post directly to your inbox every Tuesday and Wednesday morning! For those of you looking to amp up your cooking game with a simple twist, consider cooking with pancetta! From adorning risotto, topping pizza and salads, to garnishing soup, and even as a finishing addition to mac & cheese that your kids will go crazy for, pancetta may just be what you are looking for! So, what is pancetta? Pancetta is an Italian bacon made of pork belly. Its salt cured and often consumed raw in Italy. Rendering less fat than its cousin bacon, pancetta is best cubed, cooked till golden brown and served as a finishing touch to everything and anything you would normally use bacon for. Not only does it add a delicate touch of sophistication, its salty flavor profile leaves a lasting impression on your taste buds. For other terrific tips and hundreds of recipes, including several perfect for adorning with Pancetta, like my Mac and Cheese mentioned above, visit my website (thetabletogether.com). While there, consider “subscribing” and I will send a new tip or blog post directly to your inbox every Tuesday and Wednesday morning! From red, white, sweet, yellow and shallots, it can be quite overwhelming when it comes to which onion to highlight in your weekly menu lineup. Today, I offer a quick high-level overview on which onion is best suited for which job. Shallots: On the sweeter side, these are great minced in a salad dressing, sliced in your beurre blanc or any other pan sauce! They lend a sweeter flavor profile with a slight bite from the classic onion profile. White onions: most popular in Mexican cooking, white onions are great raw either in a sandwich or chopped and adorning your favorite tacos. Yellow Onions: The most common, middle of the road kind of onion. When a recipe calls for a sautéed onion, they are usually talking about a yellow onion unless otherwise noted. Yellow onions are usually cooked to help release their natural sweetness. Red Onions: These guys are on the powerful “hi I’m an onion” side and usually found diced or sliced in salads. Consider running them under cold water for a few seconds to remove that extra strong bite. Sweet Onions: I love these in a sandwich or even salads as they offer a sweet finish when served raw! Now that you have the skinny on onions, which one are you using tonight? When it comes to cutting boards, the type you use can absolutely make all the difference. Not only are some more hygienic and safer than others, but some will protect your knives with all the slicing, dicing and chopping to be had! Here’s what you should stock your kitchen with, no exceptions! Wood: Wood, non-porous cutting boards are the best! Some are even dishwasher safe, which is great when dealing with raw meat. I like the ones that have rubber tips so that they don’t slide around when you cut. If yours don’t have the rubber edges, place a damp paper towel under the cutting board, or even a shelf liner, and make sure it doesn’t slide. · Care: The only downside of wood boards is that they need a little more TLC, especially those gorgeous wood blocks by Boos that I am IN LOVE WITH. Boos carries a special cream meant for their boards which you can get online. · Washing: Although some are dishwasher safe, I always recommend washing wood boards by hand to prevent them from warping. For example, Epicurean is dishwasher safe but I notice those that have been placed in the dishwasher are more warped than those that have not. And while we are still on the topic of washing cutting boards, never ever soak a wood cutting board! · Air Dry! Make sure you let them air dry. My favorite air drying method uses the individual file sorters that you can buy at an office goods store, like these. · What I Have! My absolute favorite everyday no-fuss treated wood cutting boards are by Epicurean. They have a huge collection of boards, from smaller ones prime for stocking your bar cart to larger boards best suited for your Thanksgiving turkey or Sunday night pot roast. · What I Want (in addition to my Epicurean): A Boos block! Show-stopping (and pricy) thick wood blocks and boards, these beauties require a little more care than the everyday Epicurean ones mentioned above. But, folks, they are just that, show-stopping! Plastic: These are hard to keep clean and if used beyond their prime, can hold bacteria in the nicks and crevices from all the cutting. Glass: Horrible on your knives and slippery, glass cutting boards should be removed from your kitchen immediately. In fact, before continuing, go ahead and take care of that right now! Now that you have the skinny on which cutting board to outfit your kitchen with, it’s time to get cook’n! Looking to give your copper a rejuvenation, minus the fancy copper cleaners at your local kitchen store? Look no farther than this home remedy I stumbled upon online. In a small bowl, combine a runny combination of kosher salt and distilled white wine vinegar. Using an old cloth, gently rub the mixture onto your copper. Rinse with room temperature water and you’re ready for supper! Now the question is, what’s for dinner…in your sparkling copper cookware, of course. I really wish I could take the credit for this one, but Justin Firmignac of Tin Roof in Kahului, Hawaii recommends soaking rice for at least 10 minutes, straining it, then cooking it per usual process. By soaking it, you shave off at least 10 minutes of actual cooking time. So, this means, by the time you cover rice with water, change, pour yourself a glass of wine and are ready to dedicate yourself to the stovetop, rice is ready to be made! In 10 minutes less cooking time, mind you. For other terrific tips and hundreds of recipes, including my super simple rice pilaf recipe, visit my website (thetabletogether.com). While there, consider “subscribing” and I will send a new tip or blog post directly to your inbox every Tuesday and Wednesday morning! If you’re like me and enjoy a store-bought whole roasted chicken from time to time, you may want to listen up! And if you don’t, well, good for you! Not all chickens are created equal, so when you see those fine birds roasted to perfection at your local market, don’t be fooled! Follow these tips and you’ll take home the finest of them all. 1. Make sure it’s hot! Cold birds often come with a shelf-life and could have been roasted yesterday. Uh, no thanks! 2. Check out the skin. The skin should look tight and crispy. It shouldn’t look “loose” or limp indicating that time has got the most of it. 3. Don’t settle for what’s in view! Chances are, your grocery story is roasting a big batch of birds and keeping the freshest in back while rotating and selling the older birds first. Don’t be afraid to ask if they have a fresh batch of birds or simply, when they were roasted. Knowledge is power, and power is a delicious moist chicken in this case. 4. A tip I picked up from Bon Appetite, the fresher bird should weight the most. If you find the birds are about the same weight on the label but one feels heavier, that’s your bird! You want the heavier bird as its moisture hasn’t evaporated yet. More moisture equals more flavor, don’t forget! 5. Lastly, those clam shells they sell your chicken in, well, they act as a hot box and continue to cook your chicken. So, the less time your chicken has been in one, the better! 6. Want to roast your own bird. Power to you folks! 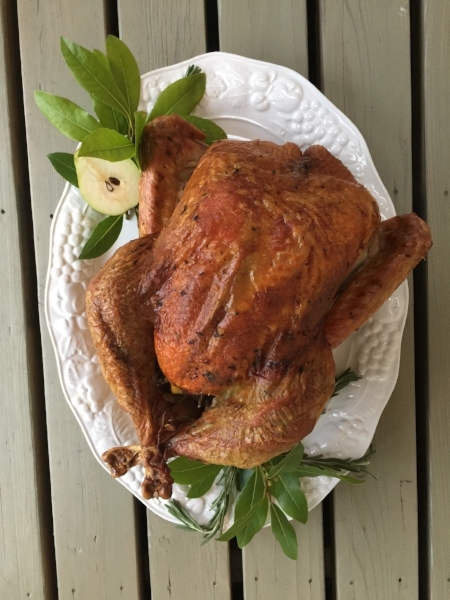 Here’s my favorite foolproof whole roasted chicken recipe that will result in the best whole roasted chicken around town! Ever wonder how to get that restaurant-quality golden brown sear on your steak, chicken breast, pork tenderloin or salmon fillet? Well, wonder no longer as today, I’ve got some simple steps just in time for tonight’s supper. 1. Room Temp! Take the chill off your protein! Depending on what protein you are working with, remove your protein from the fridge at least 20 – 30 minutes before cooking. For larger roasts, and whole chicken or turkey, you can bring it out 30 – 45 minutes before. Just make sure it’s at room temperature and not next to a hot oven where it can quickly reach the temperature danger zone. 2. Dry! When you are ready to begin cooking, use a paper towel to pat the protein dry on all sides. A wet protein will steam before it sears, we don’t want that, now do we! 3. Hot Pan, No Oil! Get your pan roaring hot. That means, high heat folks! When your protein hits the pan, you want to hear that amazing sizzle that makes your mouth start watering. Know what I am talking about? One more thing here…don’t heat your pan with oil in it! Keep your pan dry…read more below. 4. Oil Your Protein, Not Your Pan! 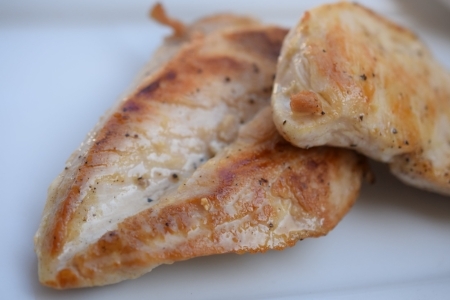 Before your protein goes in the pan, make sure you generously oil, salt and pepper it! I like to heavily oil my protein vs. the pan so that the hot oil in the pan doesn’t splatter when I add my protein. I also like heating my pan without oil so that I know the protein is evenly and fully coated with oil ensuring an even sear. Sometimes, if your pan is ever so slightly slopped or warped, oil runs to one side and never hits half the protein. Oiling your protein ensures an even sear. 5. Get Cook’n! When you’re ready, strategically add your protein to the pan knowing that once your protein makes contact with the pan, you can’t move it as it will stick…the cooking process has begun. Also, make sure you don’t overcrowd your pan as an overcrowded pan steams before it sears. 6. Don’t Touch! Yes, it’s easy to want to take a look at that delectable golden brown sear underneath, but by constantly moving and lifting the protein, you do it a disservice by removing it from its’ heat source. Don’t even think about flipping until the first side is golden brown in color, we are talking dark caramel. 7. Rest! Don’t you dare start carving or eating your protein right away! You worked so hard to create those natural juices (aka, flavor) inside, keep them there! Cover your protein with foil and allow to rest for at least 5 minutes for smaller proteins like salmon, smaller steaks, and chicken breasts, or 15 – 25 minutes for larger proteins like whole roasted chicken, roasts, and turkey! If there is one thing I want to leave you with today, it’s that color = flavor. You skimp on the searing process, you’ll definitely notice in the outcome. For other terrific tips and hundreds of recipes, including several in needed of a succulent golden brown sear like my weeknight chicken cutlets, whole roasted chicken, whole roasted Thanksgiving turkey, and even simple pan-seared salmon, visit my website (thetabletogether.com). While there, consider “subscribing” and I will send a new tip or blog post directly to your inbox every Tuesday and Wednesday morning! Have you wondered why the cost of pure vanilla extract has recently skyrocketed? It's quite shocking, saddening and downright makes me unhappy thinking one of my favorite ingredients on earth is nearly double its original price point. So, what’s with the increase and will we soon see a relief? Cultivating pure vanilla beans is an extremely labor-intensive process and with the higher demand for a product that is often pollinated by hand, you can imagine where the issue may lie. High demand, slow cultivation process and constantly at the mercy of weather, pure vanilla extract prices won’t be coming down anytime soon! For other terrific tips and hundreds of recipes, including dozens with vanilla, visit my website (thetabletogether.com). While there, consider “subscribing” and I will send a new tip or blog post directly to your inbox every Tuesday and Wednesday morning! If you saw yesterday’s Tuesday's Tip of the Day, you now know how to remove the sticky gummy exterior. But, let’s back up a second and discus why its sticky in the first place! The sticky exterior below the husk acts as a protective shield from pests. The chemical compound found in the sticky film, Withanolides, offers an off-putting flavor profile which helps to protect the tomatillos from harm’s way. To remove the sticky exterior, check out yesterday’s Tip of the Day and then take a hand at my roasted tomatillo salsa recipe! We know the importance of a sharp knife, but your peelers should be sharp too! Peelers are cheap so instead of considering sharpening them, consider buying a multi pack, like this one, and replace when the peeler is no longer preforming at its prime! One of my favorite tools in the kitchen, is a roll of parchment paper! And, I say tool because, to me, parchment paper is a true workhorse in the kitchen. From creating a nonstick surface for those delectable chocolate chip cookies, to easy clean up when roasting and even lining your Bundt and cake pans, parchment paper is a must have in my kitchen! Today I share some additional tips for using parchment paper and encourage you to pick up a roll on your next trip to the market! Cookies: This is an obvious one, but save your pans, and cookies, by lining the baking sheet with parchment paper. They even carry pre-cut parchment paper which fits the large baking sheet perfectly! Brownies & Bars: Line your bar pans with parchment paper keeping an overhand on both sides to easily lift items out! This way, you save your pan from cutting inside the pan and scratching it, and there is no waste! Check out this post for how to create a parchment overhand. By the way, I have some delectable recipes for both: Espresso Brownies, and Key Lime Bars. Gifts: Wrap baked cookies or mini loafs and secure with butcher twine for a fun and rustic gift idea. Baking or Grilling Fish or Veggies: Secure veggies or delicate fish in parchment paper for a great way to bake or even grill a healthy meal with minimal cleanup! Just make sure you salt, pepper and oil the protein or veggies first. By folding and “securing” the top of the parchment around the protein, you create a moist environment which will perfectly cook whatever lay inside. Wrapping Cookie Dough: Ever make more cookie dough than you need? Since when has that been a problem! Roll dough into a log and secure with parchment paper. Tie off both ends and your dough will stay nice and fresh in the freezer or fridge, When ready to enjoy, simply remove the parchment and slice cookies for perfectly round cookies ready for baking. Compound Butters: Restaurant-style compound butter is a synch to make and can easily be stored in parchment paper instead of plastic wrap. Watch my video here. Lining & Separating Cookies, Lemon Bars, or even Hamburger patties! Need to separate layers of burgers, cookies or ooey-gooey bars? To prevent them from sticking to one another, cut parchment paper into squares and use as a divider between each item. Muffin Liners: Want to make muffins but don’t have muffin liners? Cut parchment paper into large rounds and use a cup or your hands to push down inside the tin. I like to first spray the tin so the parchment has something to hold onto, but try it both ways! Lining your Kitchen Scale: Need to weight raw meat for your backyard BBQ? Line your scale with a piece of parchment paper and add the raw meat right on top. When you’re done, simply toss the parchment paper and voila, no dishes! Pizzas: With your pizza stone in the oven or barbequing straight on the grill, transferring pizza on parchment paper is much easier as the pizza won’t stick to the pizza peel as it goes in the oven. Plus, if your making individual pizzas, guests can write their names on the parchment paper so you know whose is whose. Grill Pans or Grill Presses: Looking to prevent an ooey gooey mess from the melted cheese and butter on your grill pan? Consider placing a piece of parchment on the top and bottom of your sandwich and press. Grill marks will still show but the mess will not! Tortilla Press: Cut 2 pieces of parchment paper to fit inside your tortilla press. Add one pieces on the bottom, add your tortilla ball, add the second piece of parchment on top, and press. This way the parchment will keep the tortilla from sticking to the press. Watch my video, How to Make Homemade Corn Tortillas, here. Sushi: Don’t have a sushi roller? Use parchment to help securely roll your sushi instead! Chocolate Dipped Anything: Need a place to transfer those delectable strawberries, pretzels or berries after being dipped in chocolate? Consider parchment paper! Once the chocolate sets, they will easily remove from the parchment paper. When it comes to blanching, there are a few steps that can help with the overall success and outcome of ingredient at hand. But first, what is blanching? Blanching is par cooking an item, usually vegetables, like broccoli or green beans, until they are bright green in color and crisp-tender. That means, they aren’t over-cooked and droopy and still have a slight “crunch.” From here, they are ready to enjoy whether raw in a salad or tossed in a quick pasta for a healthy finishing touch. · Heavily salting the water, after it comes to a boil. Did you know that by salting your water before it comes to a boil, it takes longer for the water to come to a boil? · Preparing an ice water bath to shock the veggies and stop the cooking process after they have finished blanching. To prepare an ice water bath, fill a large bowl with water and ice. Once your veggies have finished blanching, use a sieve to carefully but quickly transfer items to the ice water bath. Once the water is cold and veggies are cool, remove, dry and enjoy! Note: If you are enjoying the veggies right away in a heated dish, no need to do this step but you should enjoy them right away so they don’t keep cooking as they sit. · Watching my YouTube tutorial to set yourself for success! The Table Together with Tiffany Lewis, How to Blanch. Now with that, come join me in the kitchen and let’s start cooking! How to Make Homemade Tortillas, Including a Step-By-Step YouTube Tutorial | Wednesday's in the Know! Ever wonder how the make homemade corn tortillas? This week, I’ve got you covered! With a foolproof recipe and a step-by-step tutorial on my YouTube channel, The Table Together with Tiffany Lewis, you’ll be whipping up fresh tortillas all summer long! · Parchment Paper: Make sure you line the tortilla press before placing your tortilla dough inside! The dough is sticky so if you don’t line both the bottom and top of your dough ball with parchment before pressing, you may have a nice sticky mess on your hand. The video shows this is more detail! · Just enough water, not too much, not too little! When making the dough, based on where you are, the temperature and how hot your water is, the amount of water you use may vary! It’s important to follow the recipe and only add more water if the masa crumbles as you roll the dough into a ball. · Size of dough balls: The dough, when made and shaped into balls, should be the size of a golf ball. If they are too big, they will ooze out the side when you press them in the tortilla press. If they are too small, you won’t be able to fit anything inside. I like to use a 2-ounce cookie scoop and try one in the tortilla press to make sure they fit. And, if they crack or break, just roll back into a ball and try again! · Cooking them: I like using a cast iron pan, but you don’t need to oil it first! Heat it on medium low, add the pressed tortillas in a single layer, as many as you can at one time, and they will release themselves from the pan when the bottom has developed a “crust”. You shouldn’t have to force them from the pan to flip as the natural cooking process will make them easy to flip. Cook both sides till you see spots of color, shouldn’t take longer than a few minutes per side. · Flipping: Use a fish spatula, it is a real game changer. · Have fun! You are making homemade tortillas! Stop taking yourself so seriously and have fun! For other terrific tips and hundreds of recipes, including several tacos like my halibut tacos, visit my website (thetabletogether.com). While there, consider “subscribing” and I will send a new tip or blog post directly to your inbox every Tuesday and Wednesday morning!